Jimmy John’s has been at the center of a sprout-linked salmonella outbreak as recently as 2010, 2012, and 2014 and in 2008, there was an outbreak linked to e. coli. In fact, Jimmy John’s now has a warning on its web page about the threat of eating sprouts, but at the same time continues to provide raw sprouts on its sandwiches. 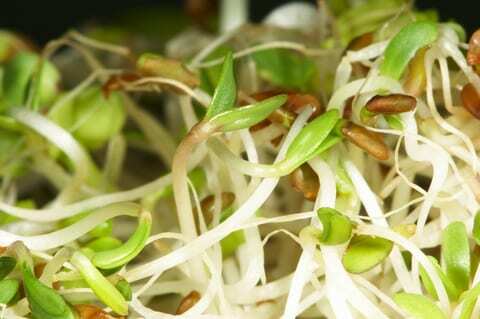 One of ChloroFields popular items in its Asian Mix Mocrogreens, a product containing its primary product, sprouts. The company specializes in alfalfa, bean, and other sprouts. Unfortunately, the FDA has identified salmonella in a sample of the product, causing the company to initiate an immediate recall of the product due to sprout salmonella contamination. The recall is limited to the Asian Mix Microgreens” with a sell-by date of March 26, at present, but may be expanded if the investigation determines such action is warranted. According to the press release, no human illnesses have been confirmed at this time. According to the FDA recall notice, the product was sold primarily in Colorado, Kansas and Missouri, and came in small 1.5 ounce plastic containers with a UPC number of 853763007096. So far the sprout salmonella recall is limited to the product bearing a March 26 sell-by date. Ironically, in 2015, Chlorofields announced a new food safety initiative featuring its new trademark seal, the FSP, which it called the “capstone of the company’s commitment to food safety , good manufacturing practices, and customer’s expectation of quality and reliability.” It stated that “the lab will be used to identify risks of food pathogens such as E. coli, salmonella, an listeria monocytogenes.” This was heralded as a positive action, especially in light of myriad recalls and outbreaks linked to consumption of sprouts contaminated with pathogens like E. coli, salmonella, and Listeria. Sprouts are notoriously difficult to clean and have been removed from many menus due to the difficulty in controlling the spread of such pathogens. For more information about the ChloroFields’ Sprout Salmonella recall, or to talk to a salmonella lawyer, call 1-888-335-4901.